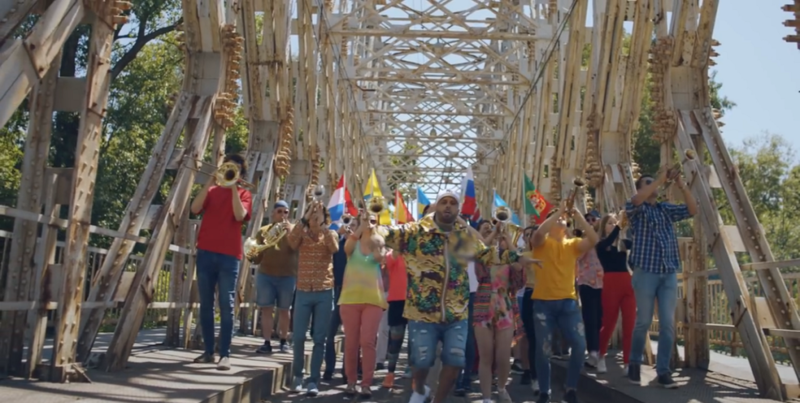 On Friday 9 June, just days before the 2018 FIFA World Cup is due to kick off in Russia, Nicky Jam and Will Smith released the music video to accompany their song, Live It Up which featured Era Istrefi. Itâ€™s the official song of the 2018 World Cup and is supposedly serves as a ode to the sport of football. However, the fan responses to the video were mixed. The Daily Vox rounds up. The video and song which has distinctly South American vibes, features American DJ Diplo, Puerto Rico-born Reggaeton artist Nicky Jam, singer Era Istrefi, and American actor and rapper Will Smith. There is also a special guest appearance in the form of Brazilian star, Ronaldinho who does a few tricks on screen and shows why he remains one of the greatest footballers of all time. The video features scenes from previous World Cups with fans celebrating the beauty of the game as well as children playing football in various parts of the world. The video in fact opens with the quote â€œWhere there is unity, there is always victory.â€ by Publilius Syrus, a Latin writer. While nothing can ever beat the brilliance that was the 2010 World Cup song, Waka Waka, we were a little excited to see a song that would feature Will Smith, who might not be the best rapper out there but seriously he is Will Smith! However, on the Twitter streets, people were not very impressed. Many acknowledged the superiority of Waka Waka and even the 2010 Coca-Cola song Wavinâ€™ flag by Kâ€™naan. Iâ€™ll get along with Waka Waka just fine. On that note though, we have to say the Coca-Cola song for Russia is a bop especially because itâ€™s features our very own Cassper Nyovest. A huge gripe seemed to be the fact that the song didnâ€™t seem to feature any Russian whatsoever and instead leaned very heavily on South American vibes instead. Where’s a Russian artist or Russian influence to the song? Is there another WC anthem coming out or is this it? Despite the basicness of the song, people are not letting that ruin their excitement over the greatest sporting spectacular. While we wonâ€™t be as far as this person and say itâ€™s awful, we just arenâ€™t feeling the song. Hopefully the World Cup is more exciting than its song. That’s not music, that’s just plain awful.